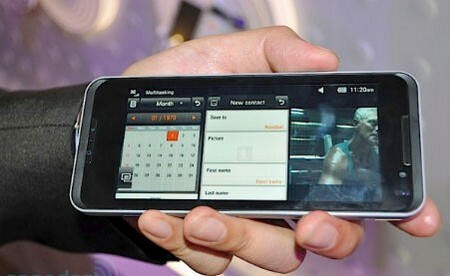 As a matter of fact smart phones of all shapes, sizes and décor are being manufactured in China. The market has scooted up tremendously in the last few years and it looks like that the expectations from the Chinese makers are going up by the day. The leading gadget manufacturers such as Apple, Samsung and few others have totally outsourced the assembly and manufacturing units in China. Amongst these the smart phone segment is propelling day in and night out. The low cost of business operations and the local labor’s ability to manufacture more goods in short span of time have led to the development of the market in just about no time at all. The mobile market in China is booming with fresh possibilities and there is almost a new company standing outside the door of a competitive Chinese vendor. The way the market is shaping up in China it seems that in another 5 years time span the entire smart phone production will be taken care from the territory on the go. This certainly has negative implications for the local vendors who are unable to provide such competitive cost propositions to the end users. Therefore, it will be interesting to note as to how they are able to sustain the profitability and their business in the long run.